EXCLUSIVE AT NET-A-PORTER.COM. 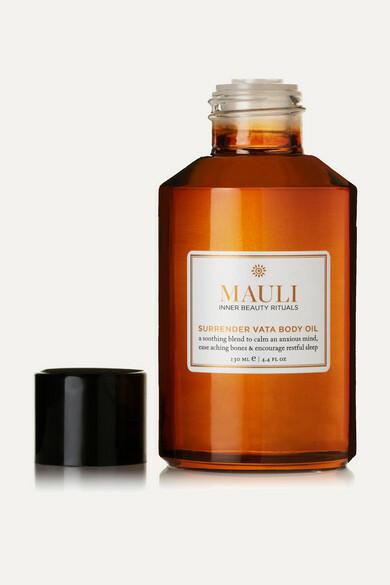 Originally created as a spa treatment, Mauli Rituals' therapeutic 'Surrender Vata' body oil brings together soothing Chamomile, Frankincense and Ylang Ylang to comfort and calm anxious energies. A nourishing base of Sweet Almond and Sesame conditions your skin, while the warming fragrance relaxes the senses and encourages a restful sleep. Hand-blended in England, this natural product is infused with antioxidant Vitamin E and aromatic Lavender.